We have some very rewarding news to pass on to our Community regarding the dedication of Fremont resident Edward J. Eberly known also by Joe Eberly. 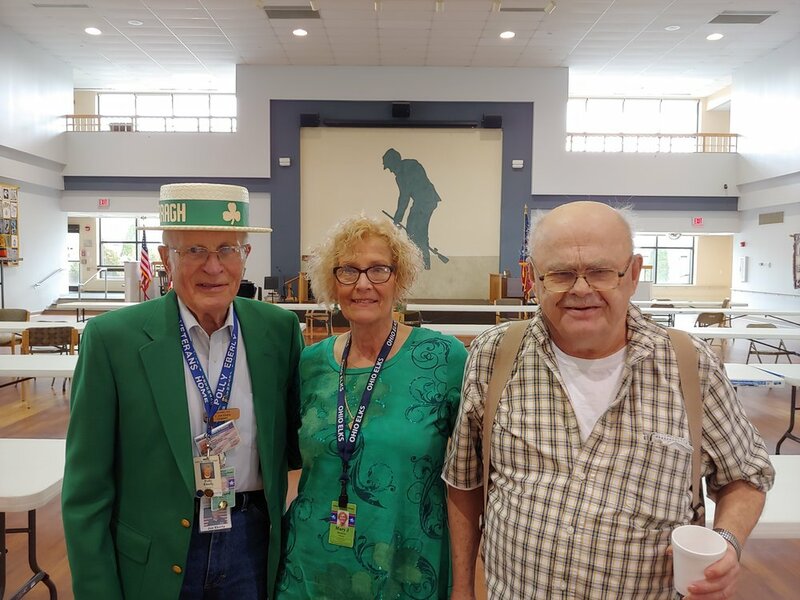 Here’s a picture of PER Joe being recognized to the room filled of Veterans at the annual St Patty’s Day Bingo party at the Ohio Veterans Home sponsored by the VAC/Ohio Elks. The recognition was witnessed by VAC fellow members who consist of representatives of numerous service organizations. It came as a Big Surprise to Joe as he was handed a congratulations letter from Erie County along with a certificate and a pen. Joe is a very faithful and dedicated Past Exalted ruler and member of Fremont Elks #169. Attending were approximately 150 Veterans enjoying their favorite pass time playing Bingo winning prizes of cash and gift cards then treated with Hot N Ready pizza and punch.